Disclosure: I was compensated for this post. The opinions are completely my own based on my experience. Raise your hand if you are looking for ways to beat the heat! Summer is here and the sun is shining…finally! Today as I write this post, I’m trying to keep cool. My AC helps, but I’m craving an ice cold beverage. Nothing beats the heat like a fruity summer drink right? I’ve been keeping cool downing my share of this refreshing Peachy Sparkler drink. Not only is a cinch to make, but it’s also a crowd pleasing hit! Or how about some Pretty in Pink Punch or Sparkling Grape Lemonade? What these drink recipes have in common are that they are cold, delicious and made with Minute Maid frozen juice! Oh and they are really simple to make. 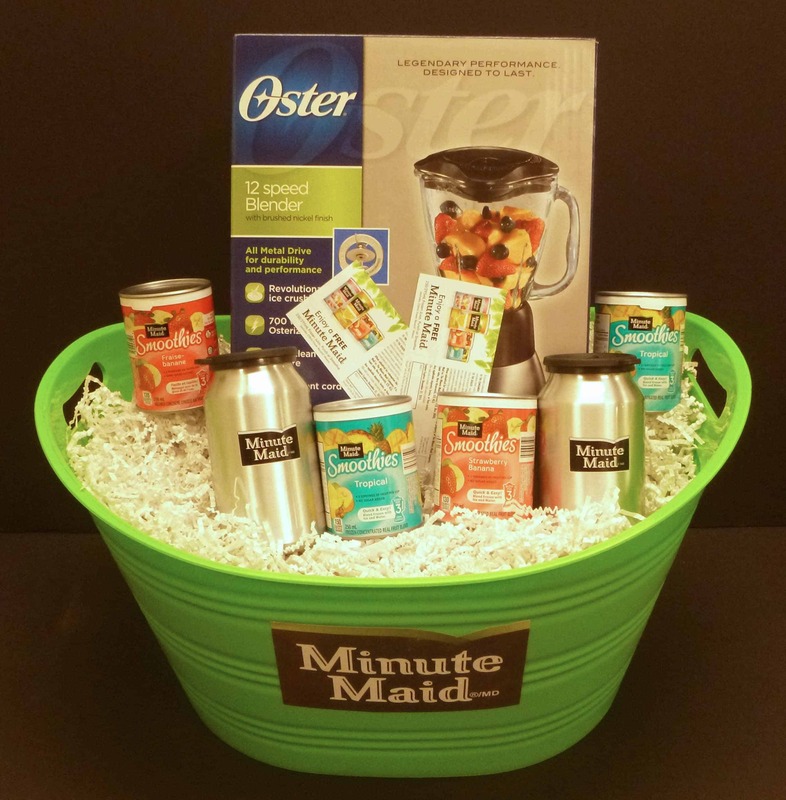 Minute Maid also recently launched in Canada their Smoothie line of products! These frozen fruit smoothies are made with 100% real juice, real fruit puree and no added sugar. They are simple to make. Just pour the can into a blender, add some ice and water (or milk, yogurt, ice cream) and blend. The flavours are Strawberry-Banana and Tropical. You can find them in the freezer section of your grocery store at an SRP of $1.99. If you’ve tried them, let me know what you think! I purchased a new blender yesterday and I’m ready to start making smoothies again. 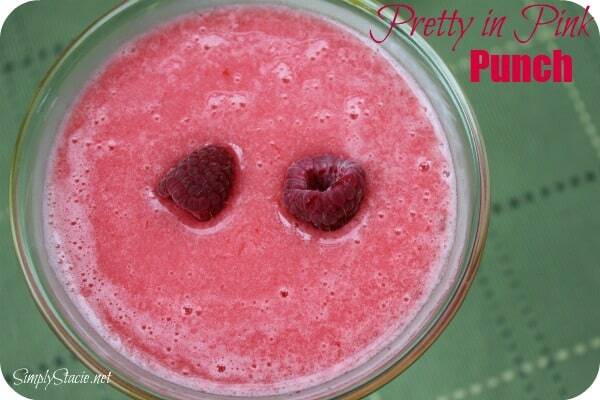 Want more delicious drink recipes? Check out Minute Maid for inspiration and ideas! The Peachy sparkler looks good! I would try the Peachy Keen Smoothie mmmm. I would love to try the Peachy Sparkler…Looks so refreshing!!!! Thank you also for all the recipes for me to try with my family – Now I can’t wait!!!!! Thank you for the contest! Would love to try the Summertime Sangria. I like the Peachy sparkler. “Lime in the Coconut”, now, please. The Pucker Up Granita sounds amazing. Especially in this hot weather, ugh! 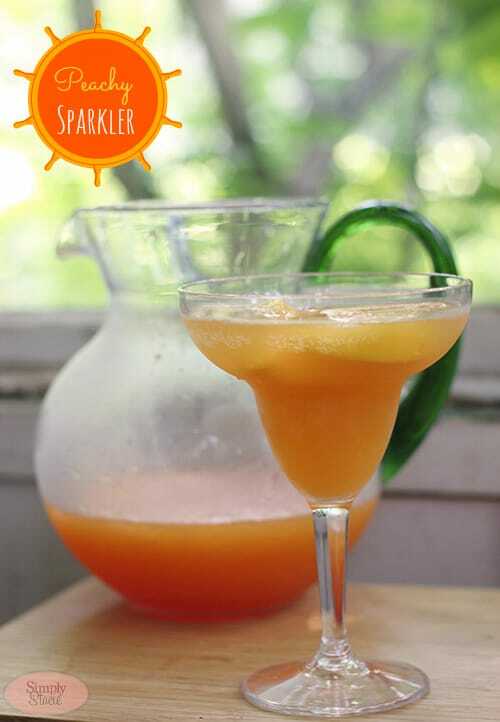 Peachy Sparkler is the recipie I would like to try. It just screams summer. The Orange and Berry Smoothie just awakened my tastebuds – think I’d try that first! I would like to try the Pucker-Up Granita.